The Secular Pilgrimage Destination of the New World? We’ve done a few stories now on the occult and spiritual undertones of Burning Man. And also presented the atheist’s perspective. Now we’ve come across an investigation of the numerology and geographical alignments of Black Rock City. Fans of the Da Vinci code, or anyone with an interest in sacred patterns, will be surprised to find some of the connections. 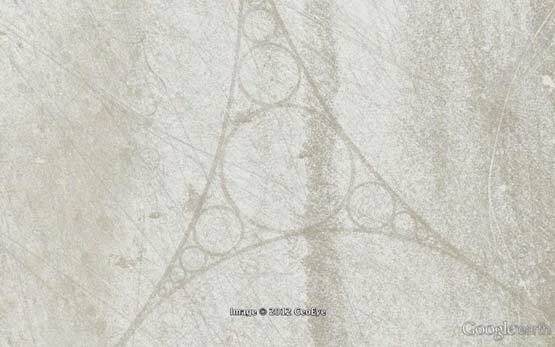 The reason I’m writing about Burning Man is because I looked at it in Google Earth and was amazed that this annual pilgrimage site in a remote desert occurs within a temporary urban design called Black Rock City (BRC) that appears to be a magical diagram. 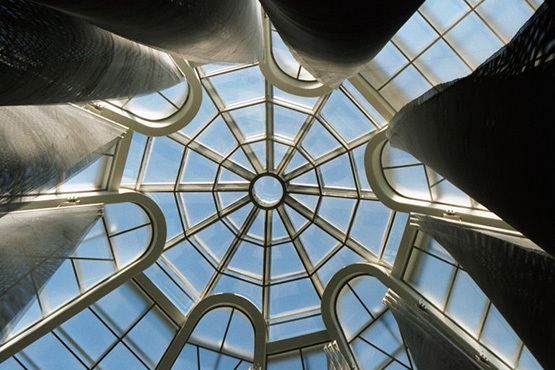 It was designed by the late Rod Garrett who was an architect. 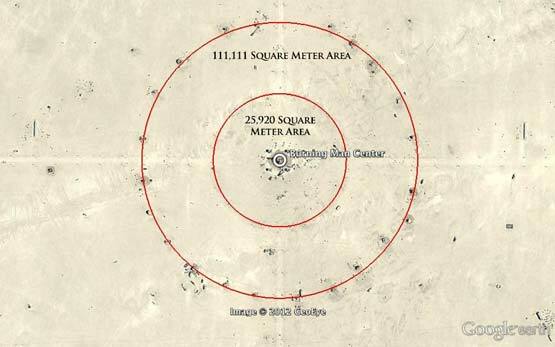 Although Burning Man may appear to many to be laid out as a circle, it is in fact in the middle of a giant pentagram, with the “Black Rock City” part taking up exactly 66.6% of the area of the circle which sits inside the pentagon. 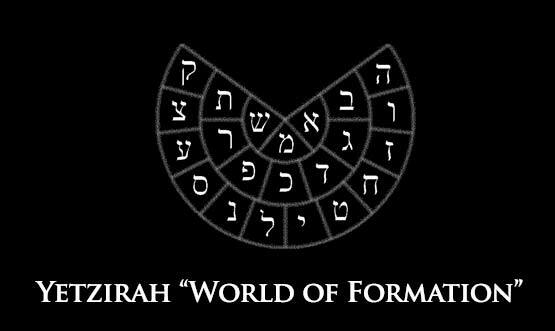 The shape of this 2/3’s circle is identical to something from the Kabbalah called Yetzirah, the World of Formation. Geographically, the city is aligned to point to a famous Cathedral in Europe. I noticed that the central axis of BRC leads directly to Santiago de Compostela in Spain. This is significant because the Cathedral there has been a major pilgrimage destination since the 9th century. 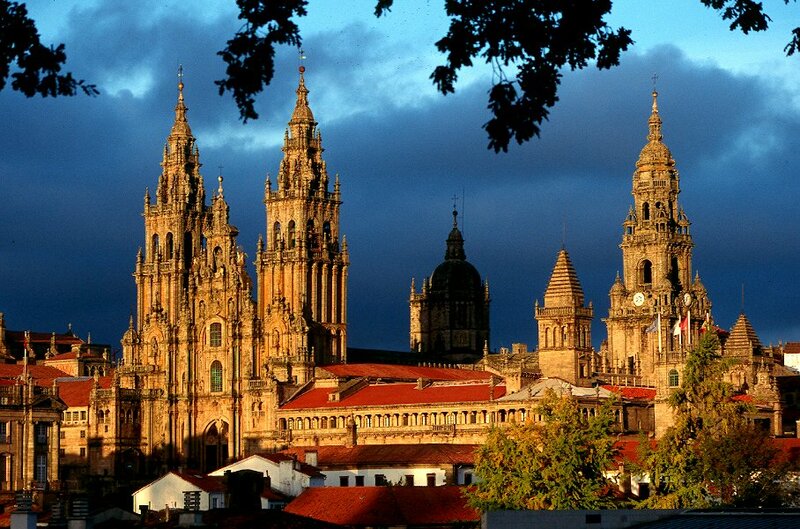 Over 100,000 Catholic pilgrims still travel to Santiago de Compostela each year from all over the world. Is Burning Man aligned to become the secular pilgrimage destination of the new world? Before the Catholic religion existed, the Celts made what was later known as Santiago de Compostela the place where souls of the dead gathered to follow the Sun across the Western sea. It is also on the same latitude as New York’s Central Park, and aligned to a Guggenheim/Rothschild museum there. In fact the precise center of Black Rock City has the same latitude (40°46’58.48″N) as the center of the Solomon R. Guggenheim Museum on the edge of Central Park. …I overlaid the image of BRC over the Guggenheim to scale and maintained the same orientation. The comparison has several geometric points of agreement with the edge of the pentagon paralleling the edge of what Mark Gray has dubbed Man-Aton (Manhattan). BRC itself touches the opposite edge along the East River. Center Camp of BRC is overlaid immediately adjacent to the Met and its Temple of Dendur where I discovered an alignment in Secrets In Plain Sight – Volume 1 and Cleopatra’s Needle which is discussed in Volume 2. 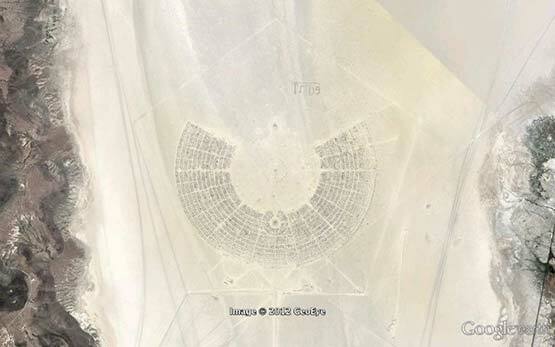 The area of Burning Man is 25,920 square meters – the exact number of a “Great Year” solar system cycle, also known as “The Precession of the Equinoxes”. Such a interesting post….. I have visited very few pilgrimage destination and it was a great experience for me. school teachers on spirt quests. and other types of woman who think they’re magic. This is interesting. I was on pilgrimage to Santiago during 9/11. Then this year was my first burn. Both changed me.